Milon in Washington DC: National Archives – not bad at all. National Archives – not bad at all. Must do's in DC? 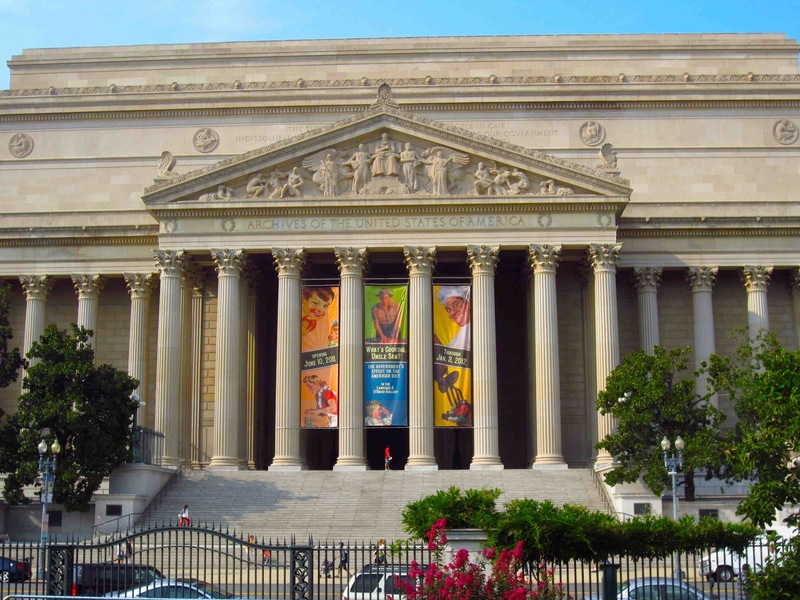 A visit to the National Archives definitely qualifies into that list. Especially if you are interested in American history and find old documentation impressive. You can listen to phone calls from former presidents, watch the Declaration of Independence and find out why Ronald Reagan is referred to as the Great Communicator. That last one goes for me, at least. When I read the transcript of his farewell address to the nation, held January 11, 1989, he convinced me. "All in all, not bad. Not bad at all." That is how he summarized his presidency. Not only is it brilliant use of words. It is also a very good summary. A conclusion I often try to get to, when I have completed a mission and know I have done my very best. Anyways, plan a visit to the National Archives. It's free. It's on The Mall. It's not bad at all.